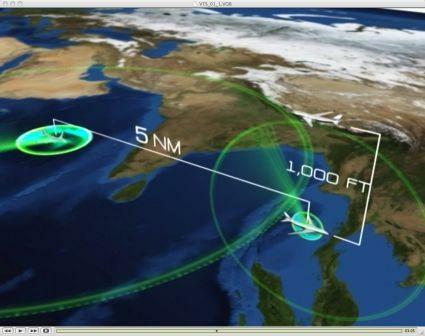 Air Traffic Flow Management | Aeronautical Radio of Thailand LTD.
Air Traffic Flow Management (ATFM) is the collaborative process of managing air traffic flow into airspace or airport to ensure appropriate balance between air traffic demand and the airspace / airport Air Traffic Service (ATS) capacity. 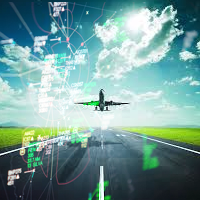 The ATS capacity in a given location is determined through an analytical process taking into account, inter alia, geographical characteristics and limitations, Air Traffic Controllers’ procedures and workload, and navigation and surveillance capabilities. Key objective of an ATFM process is to manage the amount of traffic within area of responsibility (airspace or airports) to ensure smooth flow of flights and balance between traffic demand and capacity, while maintain highest level of safety and benefits to all stakeholders involved. There are many different ATFM measures that can be used depending on situations and necessities, e.g. Tactical ATFM Measures: level capping, miles-in-trail, airborne holding. Selection of ATFM measures is a collaborative process involving all stakeholders under the principle of Collaborative Decision Making (CDM). The benefits of ATFM are abundant, and are categorized here into operational and societal benefits. Effective management of irregular operations and effective mitigation of unforeseen constraints and consequences. Mitigation of the effects of unforeseen events and situations of reduced capacity along with coordinated recovery solutions. Additional information about ATFM process can be found in ICAO Manual on Collaborative Air Traffic Flow Management (Doc 9971). AEROTHAI has been actively engaged in 2 major Cross-Border ATFM Initiatives over the past years: the Bay of Bengal Cooperative ATFM System (BOBCAT) service, and the Distributed Multi-Nodal ATFM Operational Trial project. Involvements in these 2 initiatives have made AEROTHAI one of the leading Air Navigation Service Providers (ANSP) in ATFM in the Asia-Pacific region. The airspace over Afghanistan, Kabul FIR, is an important airspace that sits between Asia-Pacific and Europe and serves as the pathway for flights operating between the two regions. However, due to geographical limitations, political challenges, lower navigation and surveillance capabilities, and limited ATS provision capabilities, Kabul FIR remains one of the more congested airspace with limited number of operating routes and flight levels. ICAO has thus tasked AEROTHAI with the development of ATFM system and procedure to mitigate the bottle-neck constraints within this airspace. AEROTHAI, in collaboration with ICAO Asia-Pacific ATFM Task Force, has since developed the Bay of Bengal Cooperative ATFM System (BOBCAT) to provide this service starting in 2007 until today. BOBCAT is a system that calculates Allocated Wheels-Up Time (AWUT) to flights intending to fly from Asia-Pacific through Kabul FIR into Europe. By sequencing flights through AWUT, BOBCAT is able to help decongest Kabul FIR during peak traffic hours and to aid flights in achieving optimum flight levels and minimally-interrupted cruises. This system has since helped airlines in saving more than 110 million kilograms of fuel burn and more than US$ 110 million (approximately THB 4 billions), thus putting AEROTHAI at the forefront of Cross-Border ATFM initiatives. In the past years, Asia-Pacific has seen steady and rapid growth of air traffic in the region, with a forecast that nearly half of all air travel passengers will be flying between destinations within the region . With this explosive growth in traffic demand, cross-border ATFM process, especially one that is suitable for handling a large number of short-haul intra-regional flights, is of paramount importance. Several leading ANSPs in the region including AEROTHAI, Civil Aviation Authority of Singapore (CAAS), Civil Aviation Administration of China – Air Traffic Management Bureau (CAAC ATMB) and Hong Kong Civil Aviation Department (HKCAD) as well as international organizations including IATA, ICAO, and CANSO have thus embarked on developing a new cross-border ATFM concept that is viable for the region when considering geographical, societal, and political characteristics. 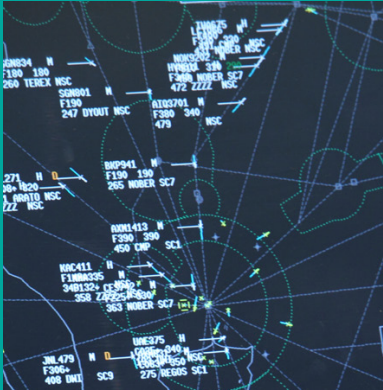 This concept, the Distributed Multi-Nodal ATFM Network, gives States / ANSPs responsibilities to independently manage demand-capacity balance within their own area of responsibilities (airspace / airports) while keeping aligned with the common operating procedure and guidance in issuing ATFM measures. Each State / ANSP, along with local stakeholders, are grouped together as an ATFM Node that connects to other ATFM Nodes through reliable and efficient information sharing protocol. This ensures full information flow between stakeholders, which is a key enabler for cross-border ATFM. The Distributed Multi-Nodal ATFM Network concept has been adopted by Asia-Pacific States as the foundation of regional Cross-Border ATFM implementation. AEROTHAI and partner ANSPs mentioned above are now engaged in the Operational Trial project to validate the concept in real environment, leading up to full implementation subsequently. The Operational Trial project has been systematically conducted since June 2015 and has seen proven success in various capacity constraining situation since. AEROTHAI serves as one of the leading ANSPs in this project, with personnel serving on the Project Core Team driving the project forward since the very beginning. This is another role AEROTHAI plays as one of the ATFM leaders in the Asia-Pacific region.